- create backups of your projects and import and export them via e-mail or iTunes File Sharing. 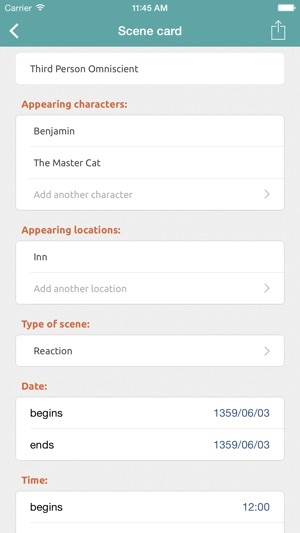 - and the most awesome feature… GET YOUR STORY STATS!!! 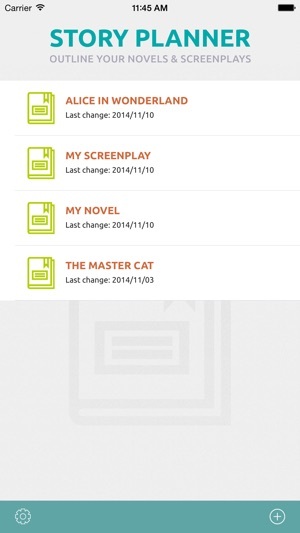 Let Story Planner helps you write better stories! So, I have found the app to be very useful. 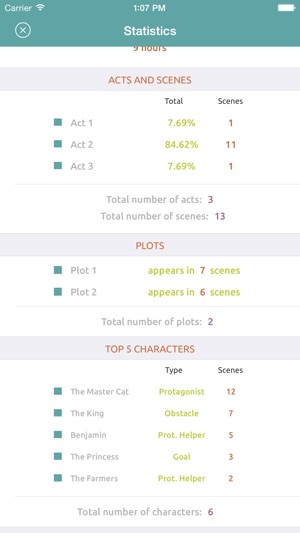 I like a lot of the features it has, particularly with creating plots with different colors and the statistics. I also love the drag and drop feature for rearranging scenes. In general, this app has a lot of good ideas. However, I think there are a few features that would really make this app a five for me. -When I am adding a scene card, I notice that unless I click the down arrow at the bottom left corner of the interface, I can’t scroll. I’ve found that exceedingly frustrating. -It would be really nice if the “Acts” were collapsable. I have a lot of scenes per act, since I’m using this for story outlining. So, it’d making the interface easier to use if this was a feature. -Along the same lines as the above, I think it’d be nice if I could choose different layouts for the scene cards. For instance, if there was a compact view where you only see the scene titles. 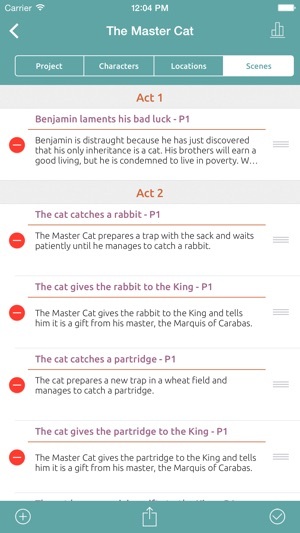 Or a view where you could see the scene cards as cards in along a timeline. I’ve just found myself scrolling and scrolling to find what I’m looking for. When you have a lot of scene cards, it gets cumbersome to rearrange them when you are scrolling and scrolling just to find them. I hope your team will consider some improvements! Hi Tantaruthie. Sorry you're experiencing this issue. If you want, you can write us to support@literautas.com and we'll do our best to fix it. Thanks. I’ve been looking like an app like this for a long time since A Novel Idea was taken down. While the app is great, one suggestion I have would be the ability to organize character functions better. 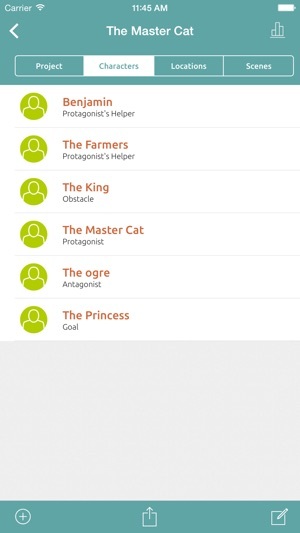 As an example, every character under “protagonist” would all be grouped together. You should also be able to just type in the character function rather than choosing. It could help organizing groups, like having all people of team “A” and people of team “B” all under one file or headliner. Beyond hat, great app and definitely would recommend it to others.